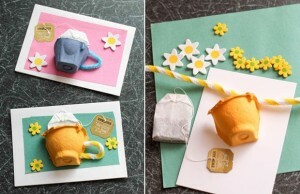 Anna at In The Playroom crafted these super cute tea cup cards by recycling an egg carton. These are great to make on Mother’s day or on other special occasions. 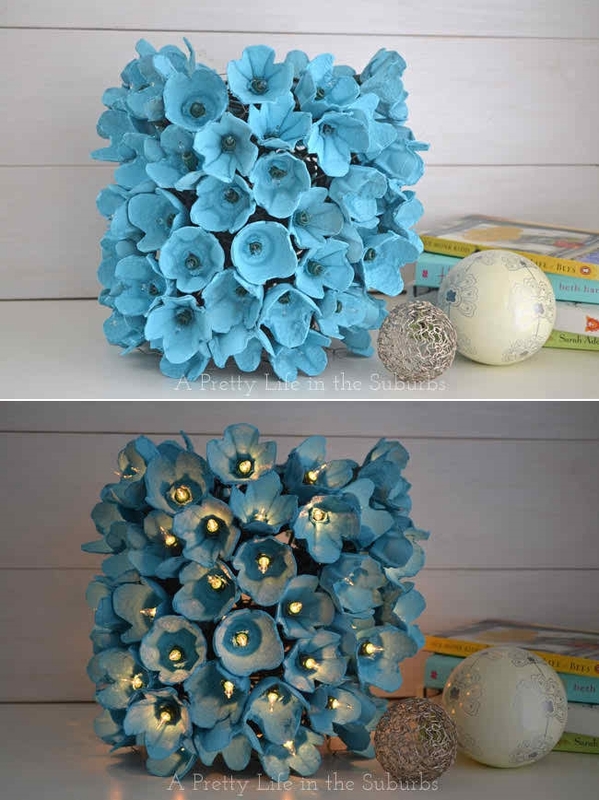 Jo Anna at A Pretty Life in the Suburbs combined egg cartons with chicken wire and string lights along with some other materials and created this wonderful lamp that can surely give you a design envy and an itch to craft it off the bat. 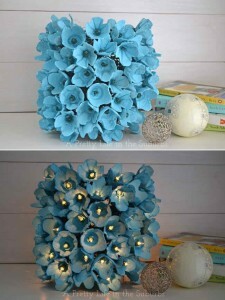 Last but nevertheless the least, it will cost you only $5. 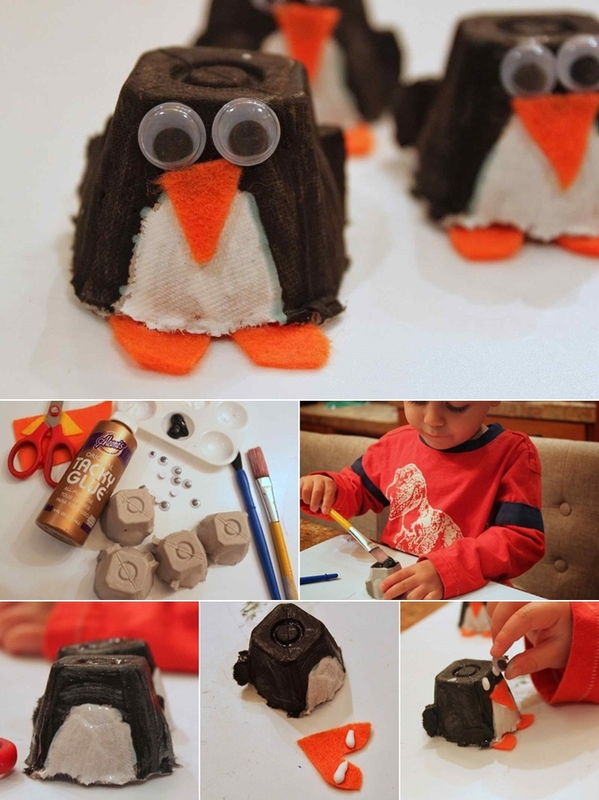 Melissa at Green Owl Art with the help of her kids crafted these cute as button penguins by painting pieces of an egg carton. 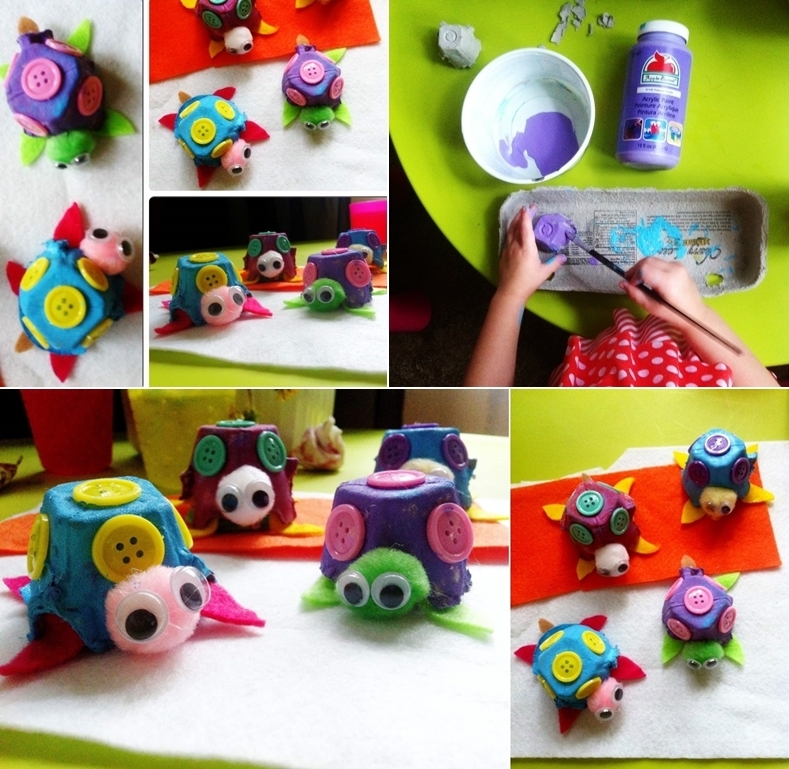 Munchkin Time blog has another sweet idea to recycle an old egg carton and make these turtles that your kids are going to admire playing with. 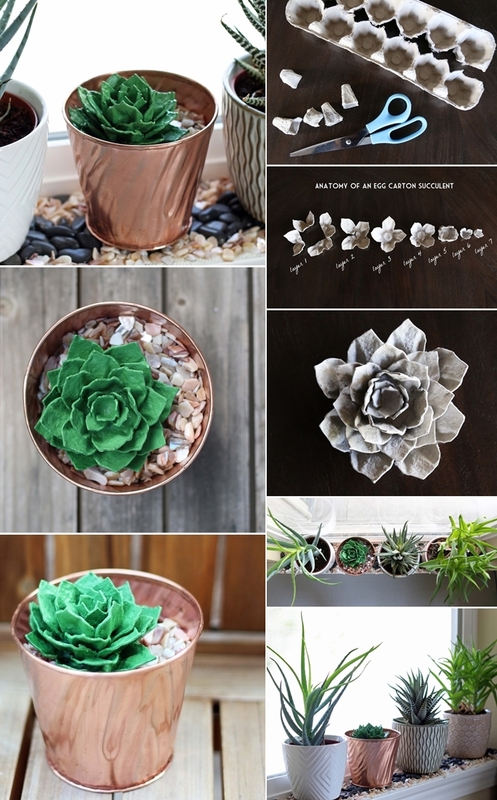 Melanie at Bliss Bloom Blog has truly made a splash in our today’s roundup as you can see she has created a flower succulent from an egg carton that looks as good as the original version. 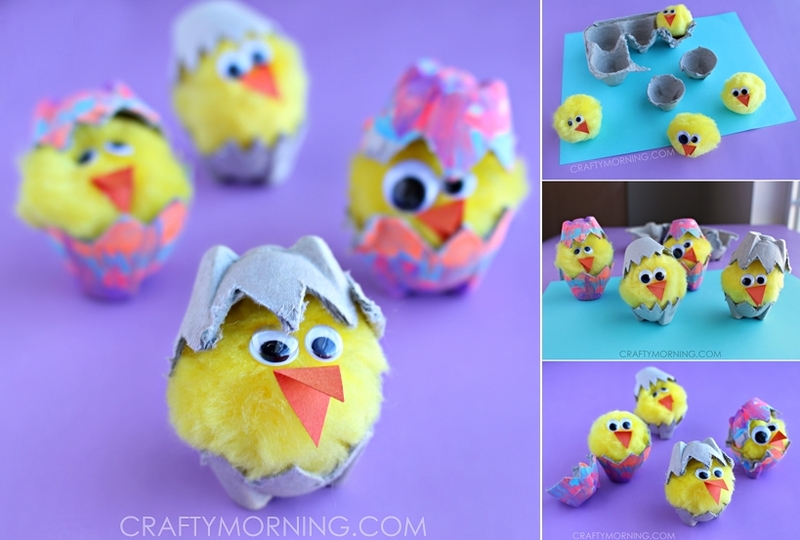 Michelle at Crafty Morning recycled an egg carton to mimic eggs and perched chicks inside the egg shells made with big yellow pom poms. This would make a lovely Easter craft. 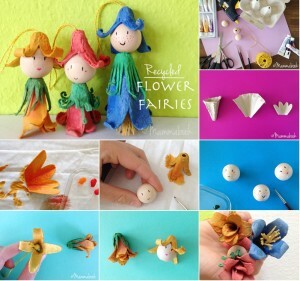 Cucicucicoo has shared an adorable idea to make flower fairies from egg carton and wooden beads. Truly Myrtle via Flickr has an amazing idea for those who love to sew. You can utilize an egg carton to serve as a sewing kit. 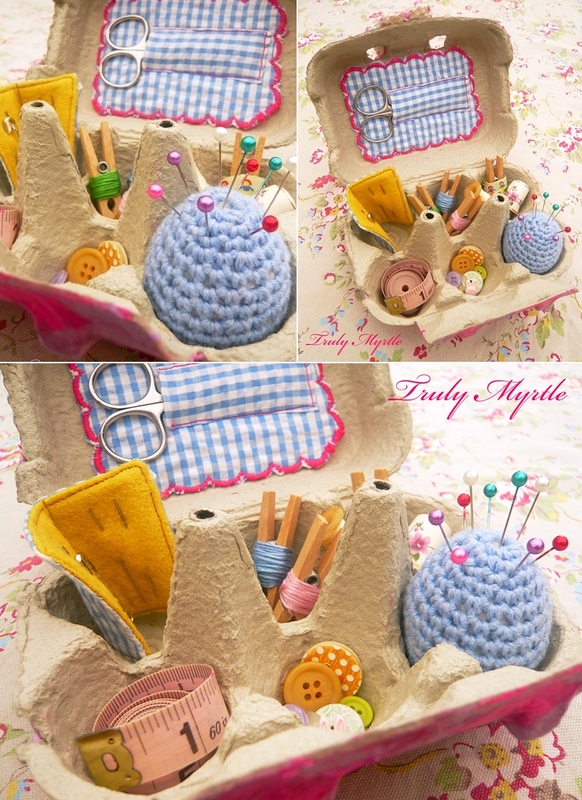 Its compartments are ideal for storing and organizing your sewing supplies at one place. 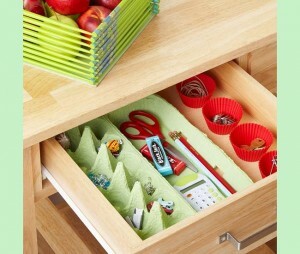 If your drawer is upside down with clutter then this egg carton drawer divider idea by Better Homes and Gardens is worth giving a shot to. Using an egg carton as a drawer divider means a no-money storage solution. Michelle at Crafty Morning has another wonderful egg carton craft. 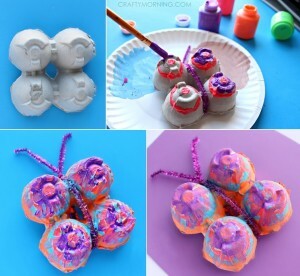 She made some cheerful and colorific butterflies from egg cartons. Kids would love butterflies like these.